Hope for North Brevard is a catalyst for restoring hope and unity through Christ-centered service to youth and families in our community. Every dollar raised goes directly into our community and Hope for North Brevard's mission to be "a catalyst for restoring hope and unity to youth, families and our community" through youth services, counseling and community development. Hope for North Brevard provides youth services to at-risk kids at Bldg. 418 Student Center and Gibson Youth Center. These youth centers provide safe havens for kids who desperately need positive role models, character development and places to belong. HNB also provides leadership training, internships, youth resources, retreats, youth mission trips and leadership in collaborative initiatives among youth service agencies and local churches. HNB invests in quality of care to our local youth, the future of our community. 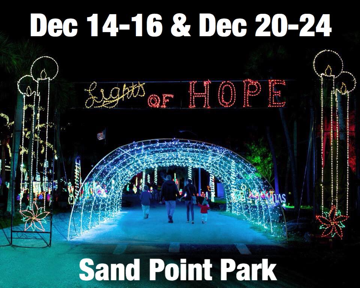 Hope for North Brevard provides low to no cost professional counseling to students, adults and families in crisis. HNB offers weekly counseling to hurting youth, broken families and struggling adults. All of us face struggles and need people pointing us to hope, restoration and new life. HNB believes everyone deserves hope regardless of their financial situation. The Forge is a unique youth ministry in Titusville Fl. Launched in January, 2012 by a team of youth pastors and volunteers from several different churches and denominations, we provide teens ages 12-18 with a safe, fun, and exciting place to hang out on Friday Nights from 4-11pm. Teens enjoy playing video games, using computers, singing karaoke, playing basketball, or just hanging out with their friends at our snack bar. We welcome everyone and have a full house of over 40 teens every week. Get your friends together and come join us! Our youth, families and community are in need of repair- Yes? Come join us in God's redemptive work in our community, for this is what we were made to do. There is nothing quite like it! Hopefully you will find our website helpful in understanding what we do and how you can be a part of it. If you would like to partner with us, here are a couple quick suggestions.